I have too many books, so I’m giving 100 of them away, for the fun and good karma…. If you’re interested in the chance to get any of the 3 books mentioned in the below video, send me a note at soulful@me.com. I’ll choose the winners on Monday. 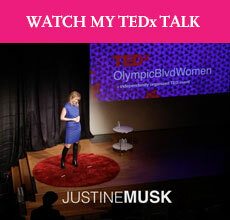 This is good stuff Justine! (To be honest, I’m looking at getting an autographed copy of one of your novels!). Are you planning that? That would be totally awesome. thanks for the chance to win some good reads. would you be interested in donating books to a nursing home resident who loves to read? What a FABULOUS idea you’ve had! Getting into the spirit of things, I’d like to nominate myself to receive The Women. I like T.C. Boyle and the plot of this book sounds terrific. I have three sisters, so I grew up in a household mainly of women (my father was narcissistic but — fortunately — mostly absent and I had just one brother.) Hey, I was also educated at a convent school, so I’ve been surrounded by strong women all my life! And, besides, being educated at a convent school was a tough experience, so don’t I deserve the book for that fact alone? Anyway, I’ve also sent you an email. Thanks!!! Awesome Justine. I’m writing you at the above address now! Justine, you have been on my reader for awhile and I read your book “Dark Angel” . I loved the book and enjoy your blog. I am an aspiring newbie writer and you have been a great resource! Joe Hill sounds intriguing if I am shamelessing begging here. Keep up the articles – I’m taking notes! I’ve noticed that when you talk you seem that know exactly what your going to say for a 5-7 word phrase and you just blow right through it. In this gallop words tend to get trampled and run over, something that detriments your video. Pacing the tempo of your speech would be towards the benefit of your audience. Another small notice: When you first and last show the books hold them so that your face and the book are both nicely in the camera frame with a little space between you and the borders. but its the first one to come to mind. Nice to see that your cleaning house to both the benefit of yourself and your readers. PS. You should compile a book list and upload it between “bio” and “connect me.” No rankings needed, just the title and author of any and every book you would consider excellent enough to give away. I’m a brand new reader of your blog. I’m looking forward to going through and reading all of your stuff.